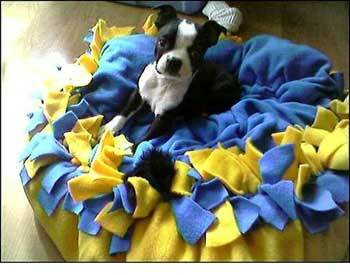 Over 20 dog bed patterns to make. 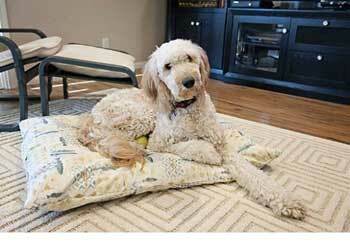 Dog beds are relatively easy to sew; some patterns are even no-sew. 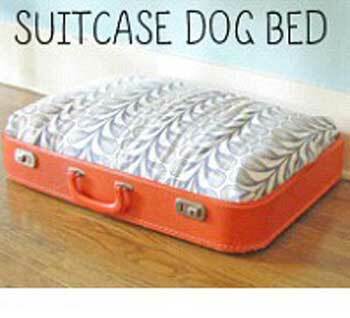 Save money and make a pet bed. 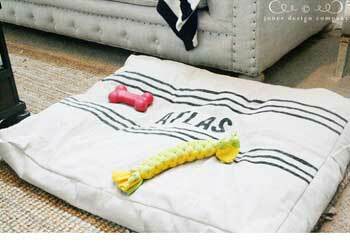 Keep your pets bed clean and tidy by making this removable slipcover in your choice of prints and fabric. 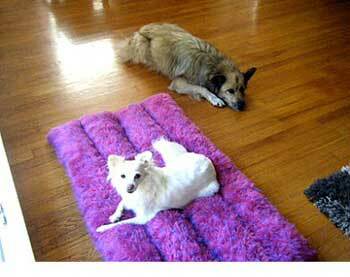 This dog bed project takes a shag rug and with some stuffing and a little sewing turns it into a soft bed that any pet would love. 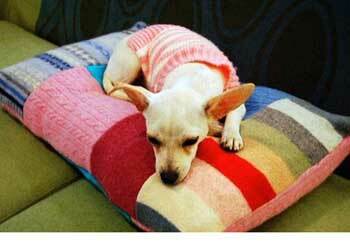 Recycle a bed pillow and some old sweaters of your own or from a thrift shop then cut and sew them together for a patchwork bed. 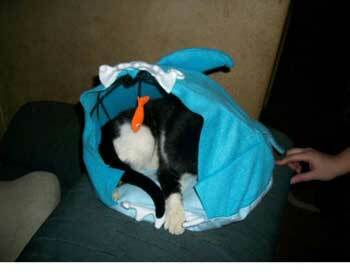 This fun to make pet bed is made from felt fabric and looks like a shark's mouth with teeth, eyes and fin. 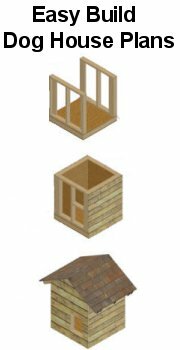 You can make your cat his or her own comfy bed in less than an hours time with the use of this easy to follow pet bed pattern. 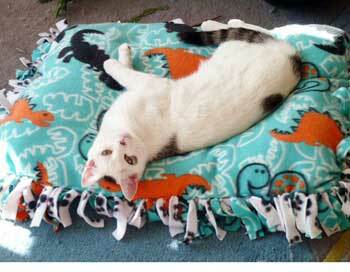 If you can tie a double knot then you can easily make this soft and comfortable no-sew pet bed for your cat or dog. 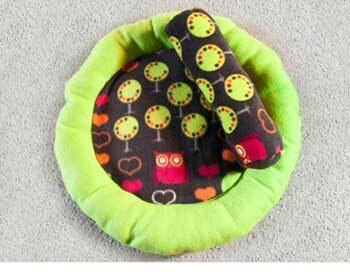 Spoil your pet with this adorable pet bed that requires fabric paints, pre-quilted fabric, piping and a few other items. 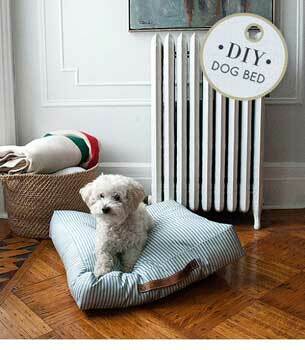 Made out of cotton ticking with a handy leather handle this stylish dog bed will look great in any room of the house. 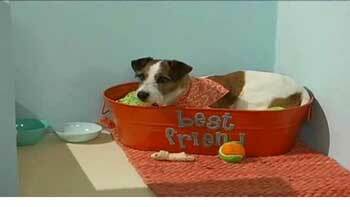 Treat your pup to a large and comfy bed that is made from a painters drop cloth with your pets name painted on. 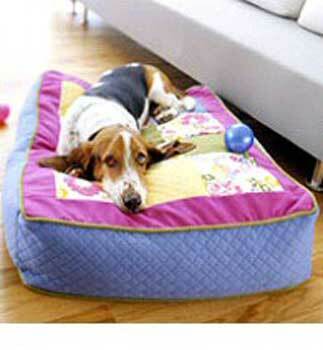 Your pet will sleep in the utmost comfort in the fleece bed you made using this detailed step by step dog bed pattern. This project takes little time and money and is fun to create with just a vintage suitcase and some comfortable bedding.